November 1, 2018 4:22 pm. 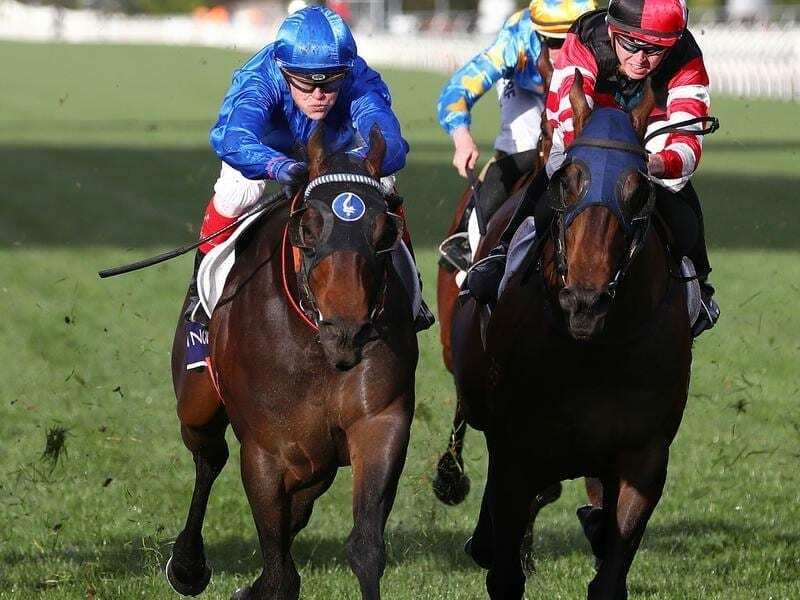 As the winner of the Group Two Danehill Stakes in September, the Godolphin-owned colt is the only horse in Saturday’s field of 10 three-year-olds to have won on the straight course at Flemington. “I loved his win in the Danehill, and he wasn’t at his peak that day,” Cummings said. “I think that the way he’s been coming along since the Blue Sapphire Stakes last start when he was second to Written By is the perfect lead-up to see him produce a PB in the Coolmore fifth-up from a spell. Only two others in Saturday’s field have race experience on the Flemington straight course, with star filly Sunlight finishing third as favourite on debut in the Maribyrnong Trial in October last year. Encryption has also finished second in the Maribyrnong Plate during last year’s Melbourne Cup carnival.